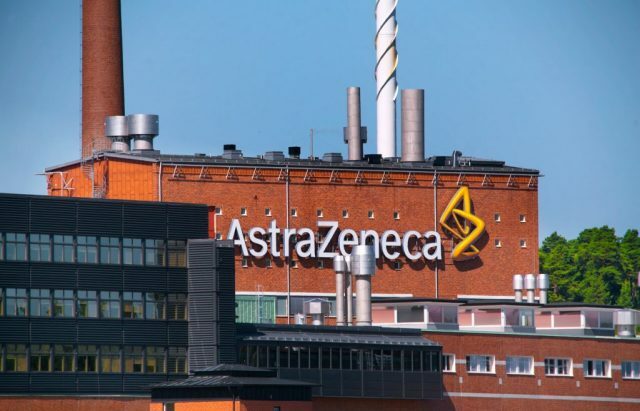 AstraZeneca's manufacturing facility at SnAckviken in Sodertalje, Sweden. After Gary Gullicksen had a heart attack at age 36, his doctor prescribed him Crestor — a statin intended to protect his heart. Like most Americans, Gullicksen didn’t question his doctor. Gullicksen didn’t smoke, wasn’t overweight and led a healthy lifestyle. An Everett, Washington, resident, he had a profitable business as a contractor. Gullicksen believed the drug would keep him safe and allow him to continue with his life. But, Crestor came with horrible side effects such as cognitive difficulties and severe body pain. Gullicksen suffered two more heart attacks at ages 37 and 38, and a blood clot that would cost him his business and his health. Gullicksen experienced chest pain and pressure each time he took a dose of Crestor. He said his condition became worse than it had ever been. “I never felt this bad before taking Crestor,” he said. Frightened of the sudden onset of daily chest pain, Gullicksen called his doctor. Gullicksen also suffered from fatigue, severe muscle pain, vision problems and brain fog that made thinking difficult after taking Crestor. Six months after he started taking Crestor, Gullicksen had a second heart attack. Gullicksen had emergency surgery to place another stent in his heart. After surgery, he kept taking Crestor at his doctor’s recommendation. A year later, at age 38, Gullicksen had a third heart attack and collapsed in the parking lot of a fire station. This baffled Gullicksen, and he began researching Crestor online. He found the drug was linked to a laundry list of side effects, including heart problems, dark urine, kidney failure and muscle pains. He was shocked to find a drug meant to protect him could have been responsible for his heart attacks and other painful symptoms. “I thought, ‘Oh, dear God. This drug has killed people,’” Gullicksen said. The stent in Gullicksen’s chest ended up collapsing, and he also developed a blot clot. In order to treat it, he had to inject himself with warfarin twice a day for two months. Fed up with Crestor, he stopped taking it in 2012. Shortly after stopping Crestor, his chest pain stopped and the debilitating body aches lessened. Gullicksen’s experience has changed the way he looks at the pharmaceutical industry, and he is outraged Crestor is still on the market. People should listen to their bodies and pay attention, Gullicksen said. He added that if patients start having heart attacks or other side effects, they should look into it or get another doctor. Gullicksen hopes to find a lawyer that will help him file a lawsuit against AstraZeneca. Meanwhile, 2018 will mark his sixth year without a heart attack since stopping Crestor.